The consecration of the first woman as a bishop demonstrates clearly that the Church in Wales acknowledges that women as well as men can be ordained as bishops. 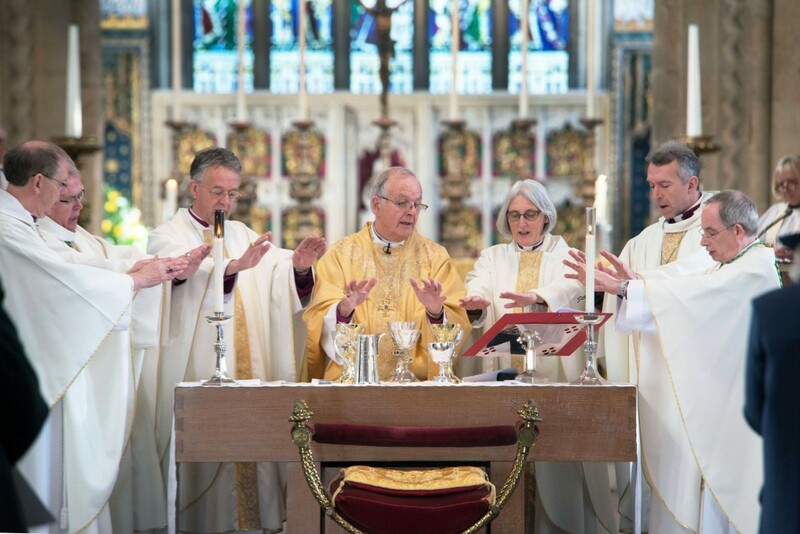 That was the message of the Archbishop of Wales, Dr Barry Morgan as he consecrated Joanna Penberthy as the 129th Bishop of St Davids on Saturday. And he paid tribute to the Church’s women clergy for “daring to trust and hope” during what had been a “long and hard journey” to ordination. 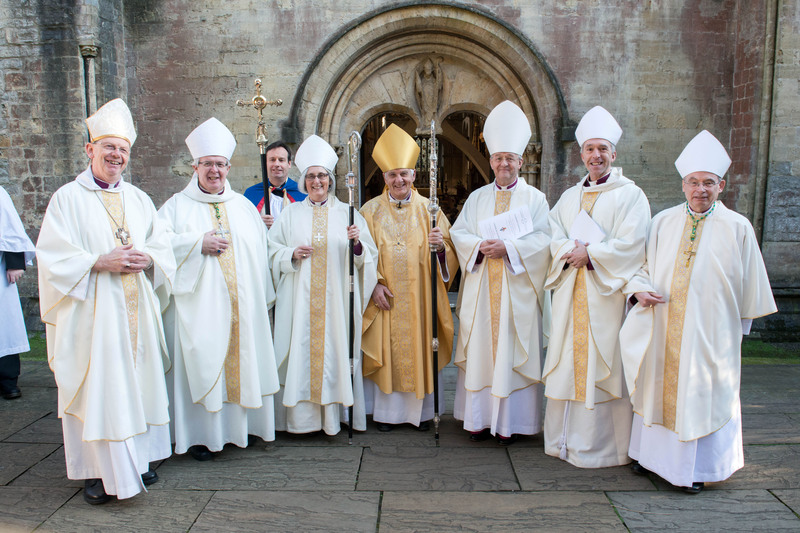 More than 500 people attended the bilingual service which was held at Llandaff Cathedral, the seat of the Archbishop, who is also Bishop of Llandaff. The service began with a procession of nearly 200 people, including clergy, bishops, diocesan registrars and chancellors, canons, and members of the Church’s Governing Body and Electoral College. 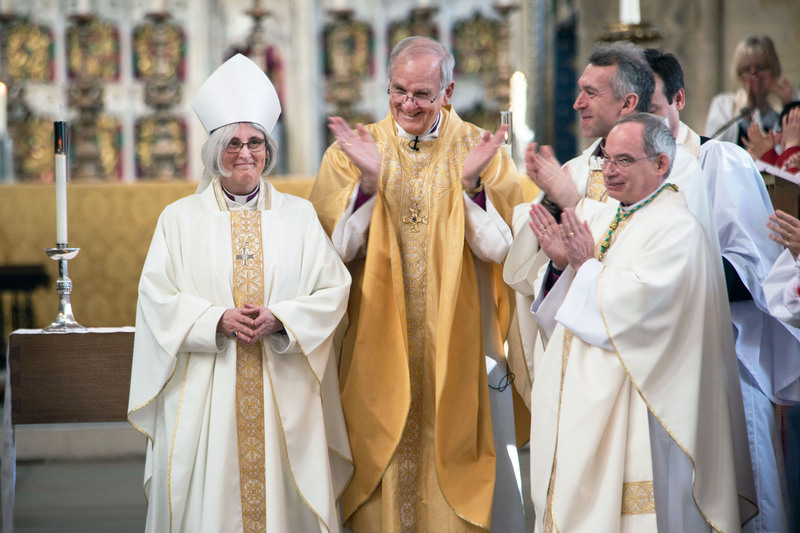 During the service, the Archbishop ordained Joanna, assisted by the Church’s five other bishops, anointed her with the oil of Chrism and presented her with the symbols of office – the episcopal ring, pectoral cross and mitre. He also presented her with a Bible and a pastoral staff. As the new bishop was presented to the congregation she was applauded. There were cheers too at the end of the service as Bishop Joanna was led out of the cathedral with all the Welsh bishops. 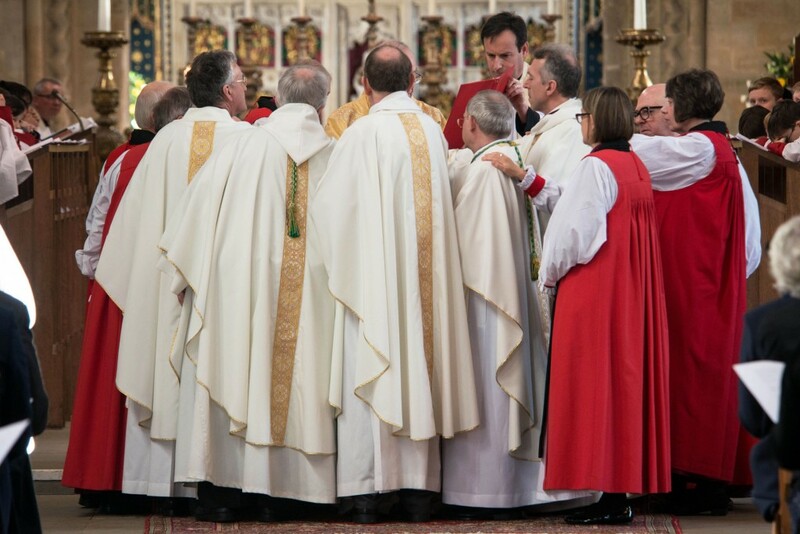 In his sermon, Dr Morgan, who had been invited to preach by Bishop Joanna, said, “The consecration of the first woman as a diocesan bishop demonstrates clearly that the Church in Wales acknowledges that women as well as men can now be ordained as bishops. 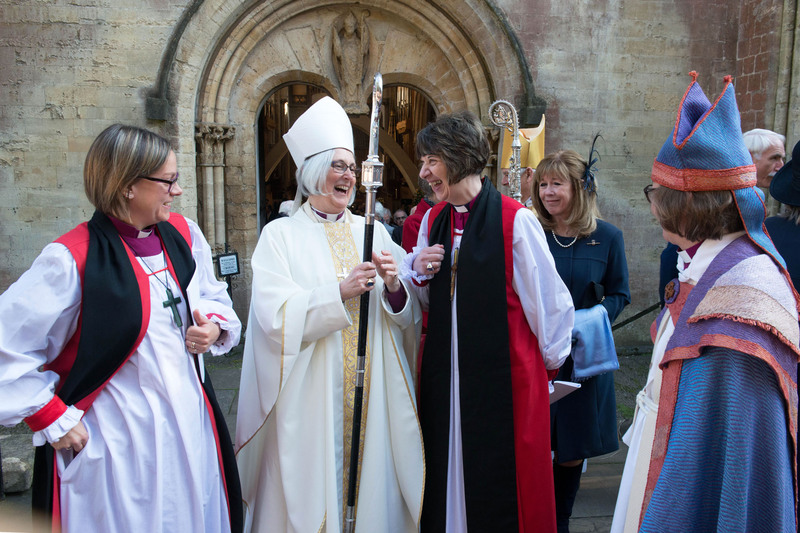 Last November was the first time a diocesan bishop was needed since 2013, when the Church in Wales decided that it was possible for women as well as men to be considered for episcopal election. But it has to be remembered that Joanna’s election was determined not by her gender but by her gifts.  “It is wonderful that it is now possible for the Church in Wales to appoint women as well as men to all three Orders and to regard that as being perfectly normal. It has been a long and hard journey for women – first to be made deacon, then priest and now bishop. The Archbishop added that while Bishop Joanna was prepared to listen to those opposed to the ordination of women, she had no less jurisdiction than any other of the Church’s bishops. 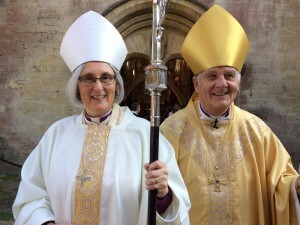 Bishop Joanna was elected by members of the Electoral College in November, having previously served as Rector of Glan Ithon, in the Diocese of Swansea and Brecon. She will be enthroned at St Davids Cathedral on February 11. She added, “I didn’t think at the beginning of my ministry that I would ever see women in the episcopate but you had to keep believing. What was important was living out the calling that we had at that time and by doing so, opening people’s eyes to the fact that God doesn’t just call men, God calls all of us to his ministry in a way which fits our own particular gifts and talents. 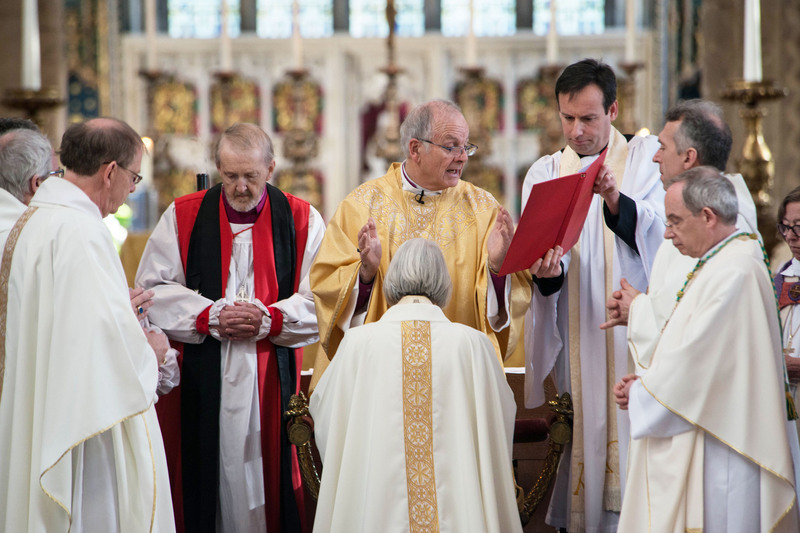 The consecration of Bishop Joanna was one of the last public acts of Dr Barry Morgan who has campaigned tirelessly for the ordination of women. He will retire on January 31. 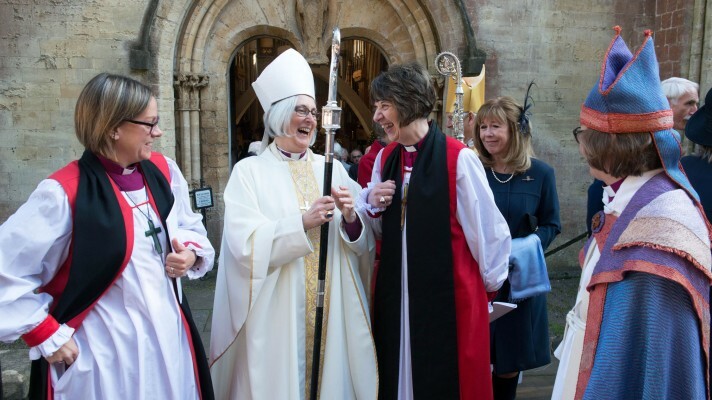 Four women bishops together (l-r) Helen-Ann Hartley. Bishop of Waikato and Taranaki in New Zealand; Bishop Joanna , Rachel Treweek, the Bishop of Gloucester, and the Bishop of Stockholm, Eva Brunne. This was posted on 21 January 2017 and updated on 30 January 2017.